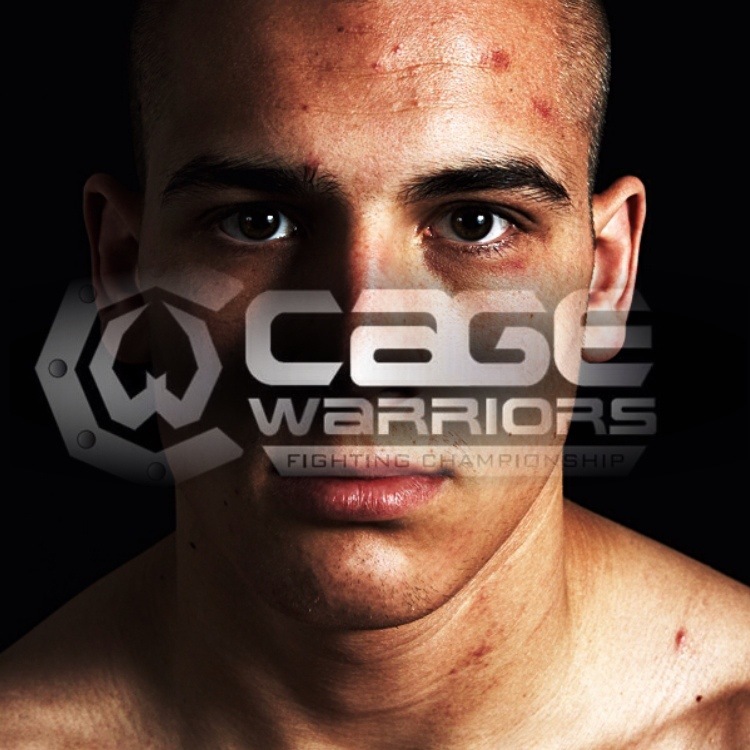 Cage Warriors Fighting Championship have underlined their status as Europe’s #1 MMA promotion by securing an exclusive five fight contract with undefeated English Welterweight, Tom Breese (6-0). Fresh off a submission win over Warren Kee which made him the BAMMA Lonsdale British Welterweight Champion and being asked out to Tristar in Canada to train with George’s St-Pierre, Breese is one of the hottest prospects in UKMMA. With the Marc Goddard-trained fighter and former British Junior Wrestling champion added to an already stacked Welterweight division – headed up by champion Cathal Pendred and #1 contender Che Mills who are set to face off at CWFC 55 in Dublin on 1st June – the possibilities are tantalising. This signing comes hot on the heels of Cage Warriors adding a further trio of exclusive signings in the shape of Valentino Petrescu, Spencer Hewitt and Chad Griffiths to their roster to really underline the promotion’s drawing power and ambition. It’s exciting times for Cage Warriors and for all of UKMMA. We can’t wait to see Tom in the CWFC cage (Alan Johnston would be a good opponent… just saying) and please stick with us for full coverage of this weekend’s CWFC 54 card and the rest of their packed summer schedule. 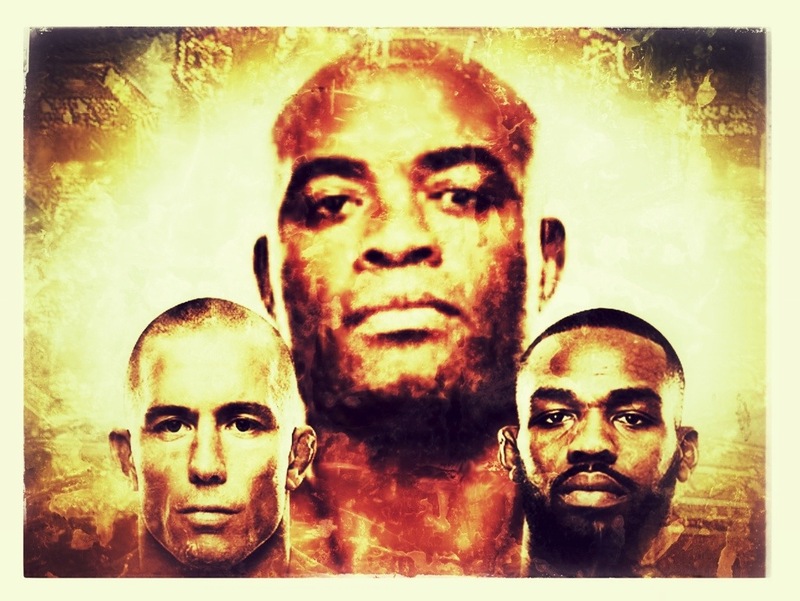 Legacy – Anderson Silva, Three Weight Class Champion? One of our buddies pestered us to do a piece on the idea that Anderson Silva could pretty much become the first ever three weight class division champion in the history of the UFC (and probably all of MMA.). It’s not a bad idea, so here you go. Given that Jon Jones has retained his Light Heavyweight title and faces some injury time on the sidelines and both Silva and Georges St. Pierre have immediate business in their ‘home’ divisions this isn’t going to come about overnight but it’s a tantalising prospect. The best scenario I can cope up with runs along the lines that assuming GSP and Silva negotiate the considerable obstacles that are Johny Hendricks and Chris Weidman, that a match between them be booked for St-Pierre’s Welterweight title, probably next spring, giving Anderson time to cut down to a weight he hasn’t made since 2003. That bout would be huge, surely being the main event of a UFC Super Bowl weekend card. Assuming Anderson wins (by no means a certainty, especially down at 170lbs) he recovers and starts bulking up. In the meantime, Jon Jones recovers from his foot injury and has a bout in late 2013, early 2014 (Alexander Gustafsson is the most deserving challenger IMHO) and a date is set for Jones-Anderson in autumn 2014. That would possibly be the biggest bout in history, with two bona fine GOAT contenders facing off at near opposite ends of their career. Win or lose, Anderson rides off into the sunshine, considerably richer and legacy intact. Lets be honest, we’d all pay to see both of those fights. The factors against such a turn of events are pretty huge though. First of all, we’re relying on a minimum of four, elite level, championship matches (Silva-Weidman, GSP-Hendricks, Jones-TBD and Silva-GSP) going the way the scenario demands. The odds against that are astronomical. Secondly, we’re relying on Anderson being able to make 170lbs safely. That is by no means certain, or even an advisable course for him to take. Thirdly, would the UFC be willing to throw three whole divisions into total disarray for a period of over a year? Assuming Anderson goes to challenge in another division does he vacate the Middleweight belt? It’s fair to assume that aft Chris Weidman, the Middleweight division doesn’t have another insistent contender so Anderson could keep his title until after the match with GSP. If he lost to GSP, he could return to cement his legacy at 185lbs, but if he was to then go straight into preparation for a crack at the 205lb belt, it would leave the Middleweight division in limbo for over a year. He would need to vacate the Middleweight belt, AND his newly won Welterweight belt, seeing as there would be no intention of ever defending it. It’s also worth assuming that if Anderson did achieve titles in three divisions, he would probably retire. You can’t top that. You just can’t. Continuing to fight, especially at rapidly closing on 40 years of age would be madness, seven more fights on your contract or not. That would leave the UFC with three of their biggest drawing championships vacated in the space of six months. It would also see Anderson riding into the sunset having proven his superiority over three full divisions of mostly younger stars – that’s the UFC burying its future in the name of short term gains (and let’s be honest, we are talking about INSANE gates and PPV revenue here) and that’s just not good business. Any fan of MMA, of the beauty of narrative arcs in sport can’t help be tantalised by the prospect of Anderson – at this point the almost unquestioned Greatest of All Time – rounding off his career with a truly spectacular series of matches, achieving something almost certainly unrepeatable. However, this isn’t the fantasy world of pro wrestling. Competitive sport, weight cutting and the long term future of the UFC roster make it unlikely. It could happen, but it probably won’t. I’d back Anderson against Jones at 205lbs, and against GSP at 185lbs, but I’d probably back GSP at 170lbs. Would you like to see it? Do you see it the same way as me? It’s that time again and the official UFC rankings have been updated following UFC 159: Jones vs. Sonnen. The main movement comes in the Lightweight division where Josh Thomson replaces Jim Miller at No. 4 in a move that clearly shows the stable of voters had a rethink after last weeks decision to rank him below Nate Diaz. Pat Healy breaks into the top 10 at number 9 while Diaz & do Anjos also drop a place respectfully. Elsewhere, Sara McMann moves up to 4th in the Women’s Bantamweight division off the back of her dominant win against Sheila Gaff, while at Heavyweight, Roy Nelson’s victory see’s him swap places with Alistair Overeem and once again cements a position as an outside contender in the top 5. As always let us know what you think about how the rankings have taken shape and what, if any, changes you would make. The first Brazillian Jiu Jistsu Scottish Nationals are set to go down at the Kelvin Hall in Glasgow on June 22nd. The competition will include Gi and No Gi events for all levels from beginners to black belts, as well as female and seniors/masters and registrations can be made here with cheaper fees for early registration. 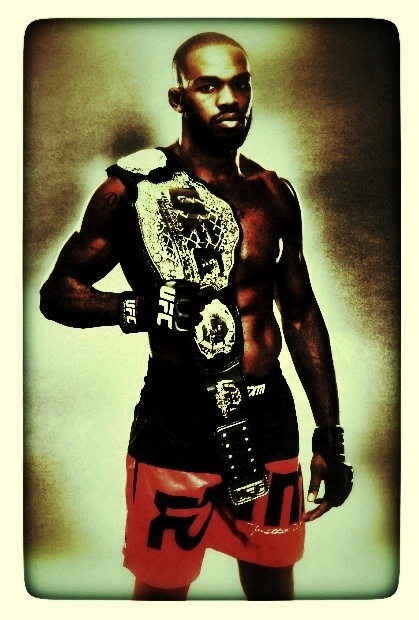 Could Jon Jones Be The Best Ever? Regular readers will know that I’m not the biggest Jon Jones fan, but even I am forced to laud his achievements. I’m one of those who attributes a big part of his success to his dimensions as much as his skills. I have issues with his persona, from his apparent arrogance and vocal Christianity to his attitude towards his fellow fighters (specifically dropping Lyoto Machida back at UFC 140) but such personal, subjective concerns do not eclipse his jaw dropping success. Jon Jones has a 18-1 professional MMA record, 12-1 in the UFC. He won the UFC Light Heavyweight title at only 22 years old and has just matched Tito Ortiz’ record for most defences with his fifth successful retention of the belt, still only 25 years old. He has defeated five former UFC champions, including some of the biggest names in light heavyweight history and more than a few excellent professionals who have or could have come close to gold in the past. Even more impressive, he’s done all of this without ever looking in serious danger. The closest Bones has looked to true defeat in the UFC has been a deep armbar attempt by Vitor Belfort and Lyoto Machida arguably out pointing him in the first round of their fight. Ok, he HAS a defeat but that was via DQ and has to be put down to youthful exuberance, when a few more conventional punches would surely have secured him a TKO victory. Obviously, Jones is one of the tallest, longest fighters in the division. However, that physical gift would be useless if it wasn’t for his learned skills. Jones wrestling base is excellent and his ability to take down and control noted grapplers like Vladimir Matyuschenko and Matt Hamill were only the first signs of of how his skills would develop. Hell, he just comprehensively out wrestled Chael Sonnen. I’ve never seen that before. His ground and pound is a thing of terror – observe the faces of Sonnen, Hamill, Vera and Matyuschenko following their bouts. Jones uses his reach to keep strikers at a distance and set up creative attacks, including the much commented upon spinning back elbow. Indeed his elbows are his greatest striking weapon, as he uses them from distance, in the clinch (as against Machida) and once he’s taken opponents down to cause damage and stun them. Finally, Jones has shown an array of good submission skills, from keylocks to a fearsome standing guillotine. He’s a full package, with added physical gifts and as yet, no-one has managed to solve that puzzle, or even come close. The best success has come from Machida, who used his intelligent movement to score with strikes and then evade Jones’ responses. Of course, Jones nailed him with an elbow in the second round and choked him unconscious while he was stunned. Jones’ wins have always been decisive and dominant. Even in his decision win over Rashad Evans, the older man was unable to amount any meaningful offence, mesmerised by Jones’ reach and movement. It’s reached the point where Jon’s only meaningful bouts seem to be of the super fight variety. Contests against establish Greatest Of All Time, Anderson Silva and even heavyweight champion Cain Velasquez seem both desirable and probable. Of course, Light Heavyweight has its most compelling conveyor of fresh talent in years, with Alexander Gustafsson, Gegard Mousasi,Glover Teixeira, Jimi Manuwa, Phil Davis and maybe even Daniel Cormier all lining up as possible fresh challengers. Jones has conclusively dealt with the old guard, but there is still work to be done in the division he’s in. To put Jones’ career in perspective at the age Jones is now, Anderson Silva had a 4-1 record, Georges St-Pierre had only just defeated Matt Hughes to win his first UFC title and Fedor Emelianenko had only just made his Pride debut, with an 11-1 record. Given what he had already achieved, the consistent improvement in his form and the years he has ahead, could Jon Jones be the best ever? I’ve seen a few people criticising the Sara McMann-Sheila Gaff bout from last night’s UFC 159 card as a boring mismatch of a low standard, and I can’t help wondering two things. In short, I put forward the notion that anyone who criticises McMann-Gaff as an example of poor quality MMA or bad matchmaking is showing their bigotry. Let me paint you a picture. A young male fighter with noted heavy hands enters a bout with a decorated grappler off the back of three first round TKO wins. The grappler takes them down immediately, holds them down for several minutes, gets stood up, takes them down again and eventually transitions to a dominant position for a TKO1 win. Usually, you’d expect the grappler to get criticised for opting to go for the takedown and the striker would get a lot of love for ‘trying to fight’ because as we all know, enthusiastic bad kickboxing displays are the highest form of MMA expression. For my part, the McMann-Gaff fight was a great example of a grappler vs. striker match. Gaff knew that her best chance was to punch McMann in the face as quickly as possible, while McMann knew wrestling was her strength. McMann’s grappling won the day, getting two takedowns from two attempts while avoiding damage on the feet and in fact she used some truly impressive skills to secure the mounted crucifix position that led to the win. Would the detractors have preferred McMann to try and stand with Gaff in the name of entertaining their narrow perception of what MMA is? Would they have had Gaff adopt a more conservative approach, despite her record of striking wins? That’s not informed opinion, it’s criticism for it’s own sake. Both girls rolled the dice with the skills that brought them to the dance, and McMann won. I keep seeing criticism for the girls that the guys don’t get, excuses made for beloved male fighters that the girls are not afforded. That stinks of misogyny and double standards. McMann scored a skilled and disciplined win over a quality opponent. Is that any less laudable because she used wrestling, rather than swing-for-the-fences boxing to do so? Is that any less impressive because it was girls fighting? Of course not, and if you argue that it was then you are holding this sport in the dark ages. It was a strange night in New Jersey, with injuries, eye pokes and some surprise results. On the undercard, the ever-game Leonard Garcia fell to a dominant display by Cody McKenzie of all people and will surely be clearing out his locker as he drops to a 0-5 streak, while Steven Siler racked up another win in an exciting tussle with Kurt Holobaugh. Bryan Caraway scored a win for technique over size with a validating submission victory over Bantamweight bully Johnny Bedford, even though he was definitely winning the fight on points. Coasting, Joe? Sara McMann made a real statement in the UFC’s third female fight. German Shiela Gaff came out knowing her best shot was to KO to Olympic wrestler, but her haste led her into a deep double leg and several minutes of ground and pound from McMann. They were stood up and the same thing happened again, except this time McMann transitioned quickly to a mounted crucifix and secured the first round TKO victory. I’d really like to see McMann face the winner of Alexis Davis vs. Rosi Sexton to see who gets next Spring’s title shot. Strikeforce veterans Ovince St-Preux and Gian Villante had a tentative bout, with OSP definitely winning the first round and the second being a bit more debatable. On eye poke led to an instantaneous referee stoppage – bad call, Villante just needed a second to clear his eye and he could have continued – which led to a technical decision in favour of OSP to the general dismay of everyone in the crowd and most folks on Twitter. Next up, lightweight prospects Rustam Khabilov and Yancy Madeiros faced off in a much anticipated bout, that ended in surprising fashion but from an anticipated route. Only a few minutes into the first round Khabilov went to the well of his sambo influenced suplexes and while Madeiros showed great defence, he caught his thumb breaking his fall and that led to a TKO loss. It’s a shame that Madeiros lost his unbeaten streak to an unfortunate, almost freak injury but at the end of the day, he was injured by a legal offensive move and that’s a TKO all day long, no matter what some folks on the web are saying. Into the main card and much overlooked Strikeforce veteran Pat Healy defeated UFC mainstay Jim Miller at his own game, liberally out wrestling and eventually submitting the #3 ranked fighter in what would end up earning him $130k for both Fight and Submission of the Night bonuses. Welcome to the big show Pat. Phil Davis showed improved striking in his comprehensive decision win over Vinny Magalhaes which didn’t teach us anything all that new. Davis does seem rehabilitated from his tepid loss to Rashad Evans and can now start looking up the ranks. Maybe a fight with Glover Teixeira? Roy Nelson made a statement with his first round KO of Cheick Kongo, although its not as if we didn’t know he had a bull neck and knockout power. Dana White says he’s looking at Daniel Cormier or Mark Hunt next for Roy. DC seems keen, and I’m good with hat because I think the winner of Hunt-JDS should be on a title shot. In the co-main event, Michael Bisping may have failed to KO Alan Belcher in the first round, but a composed display did lead to a unanimous, albeit technical decision victory when an accidental eye poke ended the fight with about thirty seconds to go. Not the best way to regain momentum, but back in the win column, Mike can start campaigning for a title shot. Again. What’s that? Get on with it? 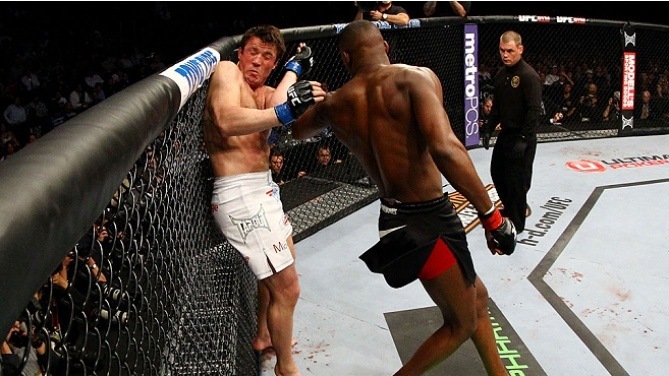 In the main event, Jon Jones showed his true quality by TKO’ing Chael Sonnen in the first round, taking him down three times in the process. Oh, and he broke his toe at one point and didn’t notice till midway through his post fight interview. Much as I’m not a Jones fan, such a schooling of someone like Sonnen, complete with almost ignoring a SICK looking injury deserves massive respect. Jones has equalled Tito Ortiz’ record for light heavyweight title defences and said he would prefer to face Alexander Gustafsson next. Chael was classy in defeat, putting Jones over as very impressive and only the second but to ever beat him up. However, with two such beatings in a row what’s left for Sonnen? After four events in as many weeks, the UFC go quiet for almost a month with the next event being UFC on FX 8 from Brasil, headlined by Vitor Belfort vs. Luke Rockhold on May 18th, but we’ve got two Cage Warriors events to concentrate on the meantime. They’ll be live on mmajunkie.com on 4th and 11th May so you’ve got some top quality MMA coming your way while Dana and company remember where it is that they actually live.